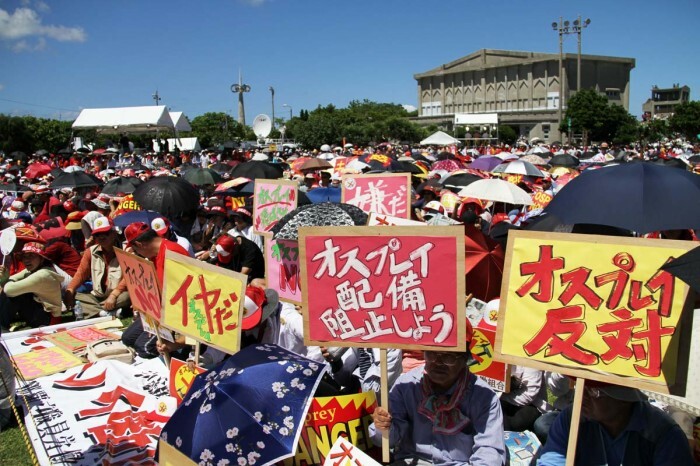 For the third year in a row, the plans to move MCAS Futenma to a new base in Henoko, demands to move it out of the prefecture, and opposition to about everything related to the base, has dominated the local political scene and fueled a regular string of demonstrations on Okinawa. Plans –as well as preliminary construction and landfill research—are under way for construction of the replacement airfield facility at Henoko in northern Okinawa, despite a variety of voices promising to disrupt or terminate the project. 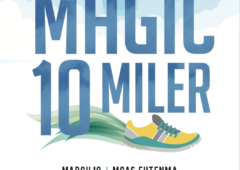 The relocation of MCAS Futenma to Camp Schwab has inspired an on-going protest remonstration both on land and sea. Futenma Marine Corps Air Station remains the most active news story affecting Okinawa, and it hasn’t lost tempo throughout the year. The project plods along, although a newly elected governor, Takeshi Onaga, is now in office and continues to vow he’s going to stop the move. At best, it promises to be an uphill battle. As 2014 was about to dawn, Prime Minister Shinzo Abe and the central government in Tokyo promised then-governor Hirokazu Nakaima ¥346 billion for the current year, and even more for the coming fiscal years. On top of that, ¥33 billion was added to the pot for building the second runway at Naha International Airport, and ¥184.5 billion was handed to the prefecture for infrastructure improvements. Some called it a ‘buyout’ or bribe to the governor, but it did spur movement on getting Henoko rolling. Despite protests, initial phases of the relocation project are moving forward, including plans for land reclamation. The government created on-the-water barricades to prevent protest boats from interfering, and on-land protests are largely ignored. Nakaima’s landfill approvals riled the Naha City Assembly, influenced by then-mayor and now Governor Takeshi Onaga. The Assembly was so angry, it demanded the governor resign. Governor Nakaima did not. Nago Mayor Susumu Inamine promises to continue his fight against the Henoko plan after he won a second term in Nago mayor’s office and his backers lost one seat in the Assembly election..
A mayoral election in Nago City, parent to the Henoko district where the new replacement airfield is being constructed, rocked the ruling Liberal Democratic Party when its candidate, Bunshin Suematsu, lost to the anti-base incumbent, Susumu Inamine, by 4,000 votes. Inamine renewed his vow to block the Henoko project, but throughout the year had no means of influencing anything. Politics slid the other way in May, when a pro-bases Sachio Kuwae won the Okinawa City mayor’s position. The 58-year-old LDP politician immediately began talking with the military about better relations, including easing the nighttime curfew. 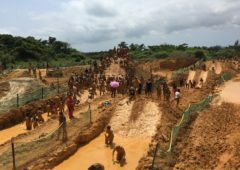 Futenma moved into the cross-hairs in August when the United States began cautioning Japan to walk softly, lest the opposition gain traction and initiate more protests. 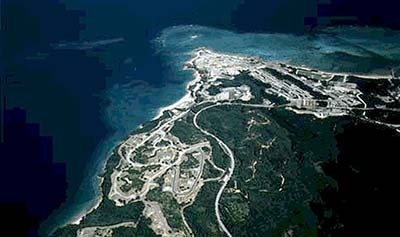 Governor Nakaima had demanded Futenma be closed within five years, although the new airfield at Henoko wouldn’t be ready to transfer operations. The U.S. wasn’t agreeing to any changes, and construction began in the fall. The battle lines began forming in July, when Governor Hirokazu Nakaima announced he would run for an unprecedented third term, opposing Naha Mayor Takeshi Onaga, a former bases supporter-turned-opponent. Two others, perennial candidate Mikio Shimoji and singer and former Upper House member Shokichi Kina, also joined the race. 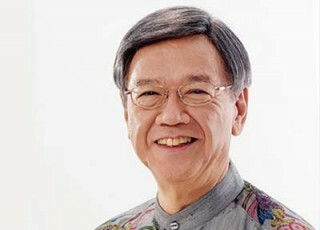 Nakaima supported Henoko, Onaga and Kina did not, and Shimoji proposed a voter referendum to settle the issue. 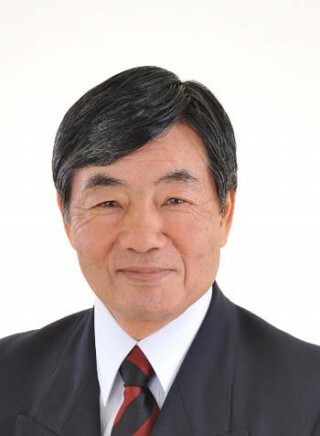 Takeshi Onaga won the Okinawa gubernatorial election in November drawing almost immediate threats from Tokyo to cut Okinawa’s already promised promotion budget as he opposes the Futenma relocation to Henoko. Onaga won the November gubernatorial election, tallying nearly 100,000 more votes than Nakaima. Onaga’s quest is to find a way to stop, block or in some way impact the ongoing Henoko project. More than just stopping it, Onaga must find a way to do it without angering the central government in Tokyo, on which Okinawa depends for financial support. 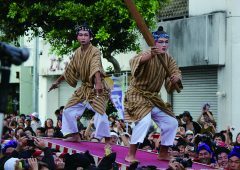 In August, Kadena Town chimed into the fray with an announcement it would begin promoting a non-military image for the community. That’s a stretch, because Kadena Town is host to the sprawling Kadena Air Base, and there’s no indication it would be going anywhere. Community leaders say they’re going to focus on tourism. The Ryukyu Golden Kings did it again, for a third time, sweeping the Basketball Japan League trophy from another mainland team. 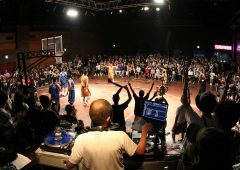 The hometown Golden Kings captured the title by defeating the Akita Northern Happinets at Tokyo’s Ariake Colosseum. The Western Conference champion Kings won 103-89 in front of more than 10,000 spectators. 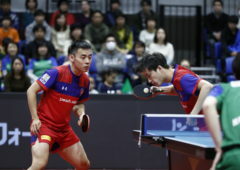 Okinawa had gone into the match with a record 43-9 season. Neoguri was a nasty super typhoon, but it still had its eye on Okinawa in July. In the waning days before it was to strike, it wobbled and Okinawa was spared being slammed by a category five storm. Instead, Neoguri hit the island as a whimpering but still powerful storm that passed to the west of the main island. Typhoon Neoguri was the eighth named storm of the season, packing winds of 55 meters per second approaching 75mps at its strongest. Tens of thousands lost power, with Okinawa Power putting the number at 95,400. Several buildings collapsed, at least 35 injuries were reported, and airline flights to and from Naha were shut down for more than a day. The new U.S. 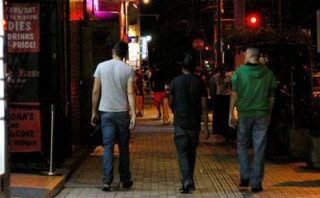 Forces Japan Liberty Policy allows more freedoms to servicemen and women who want to socialize in off base establishments. American service members got their first taste of off-base drinking freedom in December after nearly two years on restriction. U.S. Air Force Lt. Gen. Sam Angelella, commander of U.S. Forces Japan, and U.S. Marine Corps Lt. Gen. John Wissler, Okinawa Area Coordinator, lifted the long-running off-base drinking ban December 9th, while also backing off the curfew to 1 a.m. ~ 5 a.m. Wissler went on American radio and television, as well as Facebook, to encourage military personnel to respect the Okinawan people, and show the decision to lift the restrictions was a good one. Churaumi Aquarium in Motobu ewmains the most popular tourist attraction in the prefecture with over four million visitors to the facility every year. 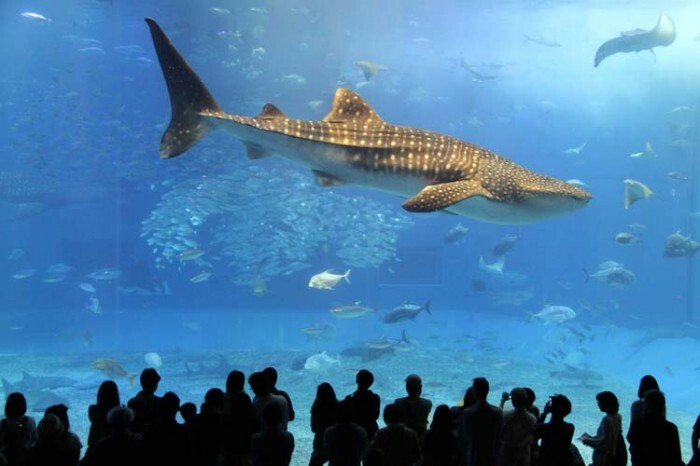 Tourism jumped in 2014, and Churaumi Aquarium in northern Okinawa was smiling as increasing numbers of overseas tourists were flocking to visit the third largest aquarium in the world. Tourism increased by more than 19%. Ocean Expo Park, of which Churaumi is a part, has registered 80 million visitors since its 1976 opening. Shuri Castle in Naha City also registered large increases in visitors during the year. 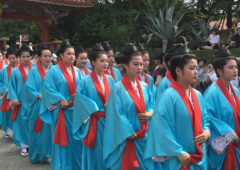 Okinawa commemorated the 69th anniversary of the Battle of Okinawa in June. The battle, the last of the fighting, killed more than 241,000. The ceremony at Peace Memorial Park brought together Prime Minister Shinzo Abe and Governor Hirokazu Nakaima. There was controversy at the ceremonies, when Governor Nakaima failed to include a call for removing Futenma Marine Corps Air Station from Okinawa during his remarks. Japan’s Prime Minister Shinzo Abe cemented his hold on power in the snap parliamentary elections in December, except in Okinawa. 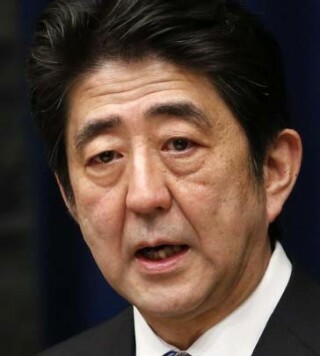 Prime Minister Shinzo Abe’s government irritated the nation in April when he hiked the consumption tax to 8%. The tax had been 5% for 17 years and now affects virtually everything that businesses and people sell or buy, including daily necessities, transportation and utility charges. The final days before the tax went into effect brought millions of dollars worth of spontaneous sales ahead of the new tax rate going into effect. 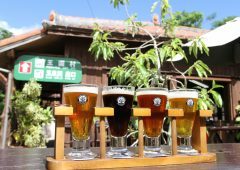 The consumption tax was to jump to 10% next year, but Prime Minister Abe a few weeks ago announced he would postpone that increase. 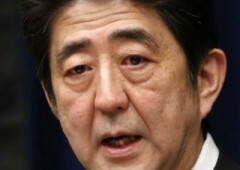 A nationwide election two weeks ago reaffirmed Prime Minister Shinzo Abe’s power in Japan. His Liberal Democratic Party, together with junior partner New Komeito, triggered the snap election, leaving opponents scrambling to compete. Nationwide, Abe’s policies received a big boost, but in Okinawa the LDP was shunned. The LDP candidates were defeated in single-seat tallies, but still retained their seats thanks to the party’s power with the proportional representation system.